Home / General / GHANA:Ever Heard about TroTro Diaries? GHANA:Ever Heard about TroTro Diaries? Ever Heard about TroTro Diaries? If not, you are really missing great fun on FB. In Ghana, Trotro means a public Bus which most people use for their daily commute. About 75% of Ghanaians take trotro on daily basis. 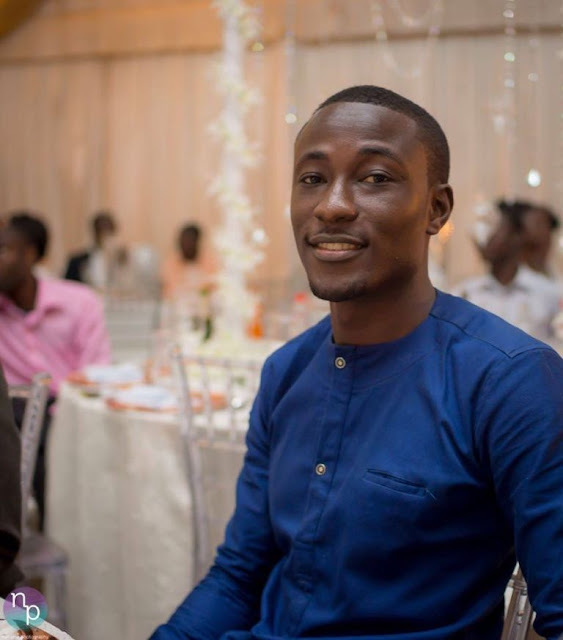 A young Ghanaian Entrepreneur Yaw Odoom came up with this vision on getting people to share their unique experiences in the Trotro,this led to creating of TroTro Diaries mainly on facebook now with over 21,000 members. They also engage in projects both online and offline all as part of a bigger vision to improve the public transportation experience in Ghana/Africa. I feel privileged to interview Mr. Yaw Odoom and this is what he had to say. My name is Yaw Odoom, a passionate son of Ghana and Africa who believes that the ultimate purpose of our lives is in the hope we bring to others. I love to dance and like to create nice experiences for people and an Alumnus of AIESEC the world’s largest student run organization. 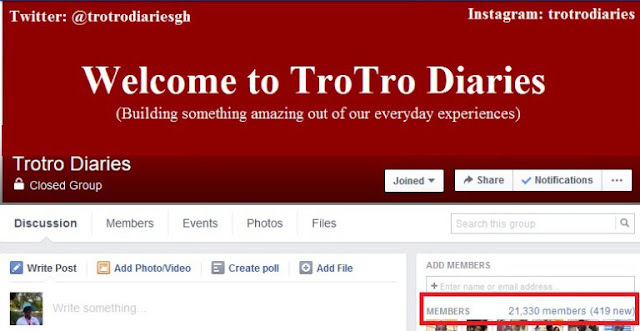 What inspired the name TroTro Diaries? The name was inspired by the interesting everyday experiences that I was sharing on Facebook, which came from trotros. So the idea was to have a name that is very original, captures the humor bit of the idea and while staying true to its origin. STRESS! Anyone that has been on a trotro in Ghana or danfo in Nigeria or Matatu in Kenya knows how stressful the experience can be. Going through that on a daily basis would always make me get to work already tired and was affecting my productivity. So I started TroTro Diaries so that instead of people focusing on the stress when they are on their way to work, they could connect with other commuters and laugh their way to work. That way I believed people could arrive at work in a better state of mind to be productive. How challenging has it been since TroTro Diaries started? Very very challenging. We have a very diverse audience across Ghana, Nigeria, Uganda, Kenya, a few other African countries and the world as such we need to handle the various views. Biggest challenge has been ensuring that posts that come on the group are related to what the platform is about. That means removing any form of religious, motivational posts among other things which does not sit too well with people. This among other issues. But I must say I love it. I watched you on CNN, how did this come up? For us the most important award is winning the hearts of many people who would previously have found their journey to and from work very stressful, contacting us to tell us how amazing the experience is and how it takes them through stressful days. Beyond that we won 2nd place in a recycling event organized by Environment 360. And I was mentioned in the Newaccra top 30 young people to look out for. How are you funding your projects? Any financial support from Government or Kind hearted Individuals? Currently funding mainly comes from myself and members when we organize a project. But we try as much as possible to take as little money from people. In the future we are looking at engaging corporate institutions on mutual projects to cater for that. However, TroTro Diaries is not meant to be just a facebook group, it’s a startup which will eventually look at some revenue models along the line. Where do you see TroTro Diaries in the next 10 years? In the next 10 years TroTro Diaries will be the go to place when we talk about public transportation in Ghana/Africa. Using technology and community projects to improve the public transportation experience. Whether you want to find you way around Ghana/Africa or you need to get on the right bus or even know what to expect in terms of transportation in other countries. TroTro Diaries will be the solution for you. Thanks so much for you time Boss. Wishing you all the very best Sir.